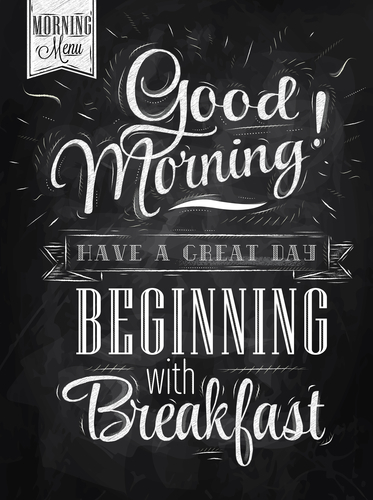 Did you know that the breakfast is the most important meal of the day? Yes, dear! Experts suggest that you eat a full breakfast meal (proportional amounts of protein, carbohydrates, and fats) every single day. Also, based on studies, people who eat breakfast regularly can lose weight faster than those who don’t. 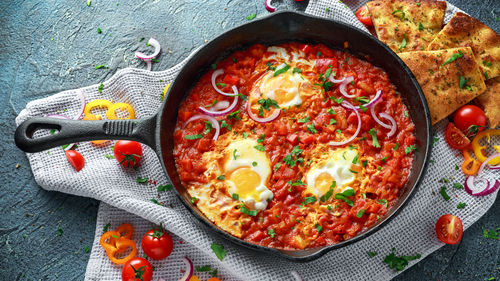 If you are not big on breakfast, whether you think it’s boring or you just don’t have time to prepare it, these delicious recipes will surely change your mind. 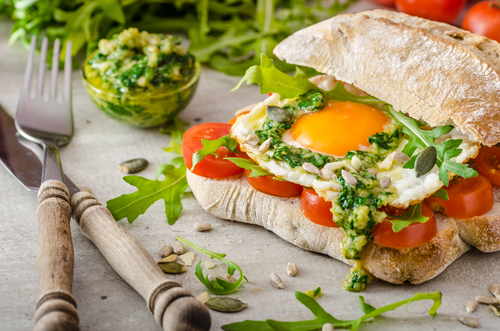 Check out these 5 awesome breakfast recipes for a flat tummy. In a non-stick pan over medium high heat, add the cumin and stir it for 20-30 seconds. Toss the beans, bell pepper, garlic, and scallions into the pan. Sauté it for a minute before pouring the broth in. Bring this to a boil then reduce the heat to medium. Simmer for 8-10 minutes. Once the beans are tender enough, mush it using a big wooden spoon. You’ll notice that most of the broth will evaporate and that’s totally fine. What you need to do is make 4 holes or indentations and then crack the eggs on each hole. Cook for another 10 minutes. Divide and transfer the dish into 4 plates. Serve each plate with yogurt, salsa, and 2 tortillas. You can add a dash of hot sauce if you want. Pour some oil in a pan over medium high heat. When the oil is hot, toss in the spinach and stir it until it is wilted. Turn the heat off and set the spinach aside. In a small bowl, stir in the pesto into the Greek yogurt. Take 4 tablespoons of this mixture and combine with the wilted spinach. Save the rest and set everything aside for a little while. Fill a saucepan with about 1-2 inches of water. Bring it to a boil then add the salt and vinegar. Stir it vigorously then crack the egg into the water. Cover the pan and let it simmer for 3-5 minutes or longer is you want your egg well-done. Once cooked, drain the eggs. Divide the spinach evenly onto the 4 muffin slices. Place an egg on each one then top it with the remaining yogurt mixture. 1. In a saucepan over medium heat, pour in 1 and ½ cups milk and a cup of water. Bring it to a boil. 2. Add the rolled oats then give it a good stir. Make sure to reduce the heat to about medium low and simmer for 3-5 minutes. 3. Toss in the apples into the pan. Let it further simmer for 2-3 minutes. 4. Add and stir in the raisins and cranberries, then turn the heat off. Let is sit there for a minute or so. 5. Divide the dish into 4 bowls. Garnish it with walnuts, pecans, sugar, and some more milk. If you only have 5 minutes to spare in the morning, you can just make this peanut butter banana smoothie. 1. Pour the milk and Greek yogurt into a high-speed blender. Add the banana, peanut butter, honey, and ice cubes. 2. Put the lid on and blend everything until smooth and creamy. 3. Pour in a glass or on-the-go tumbler. –	Make sure that you pour in the liquids first so it would be easier for your blender to puree everything. –	You may freeze the banana before using in this recipe then just adjust the number of ice cubes you want to use. 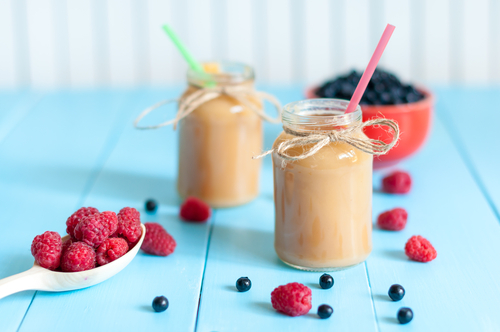 –	You can add more ice cubes in your glass or tumbler then pour in the smoothie after blending. No time to cook? No problem! Here’s a nutritious parfait you can try. 1. 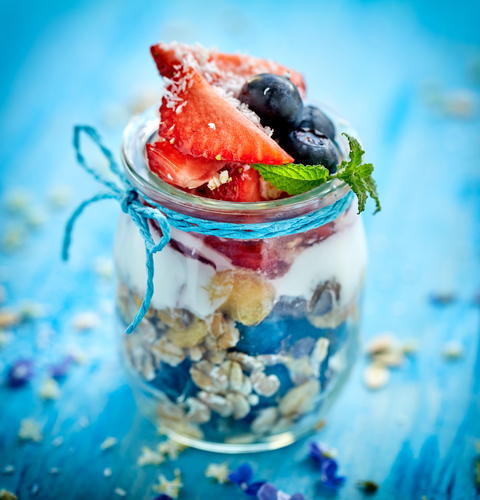 In a tall slim glass, layer up the fruits, granola, and yogurt – in whichever order you want. 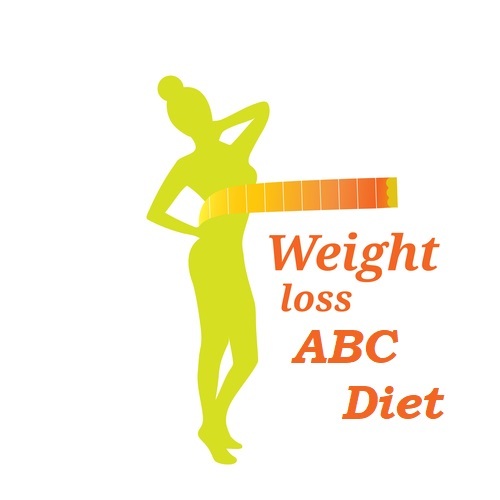 –	You can use or add other fruits like apples, peaches, kiwis, and a lot more. 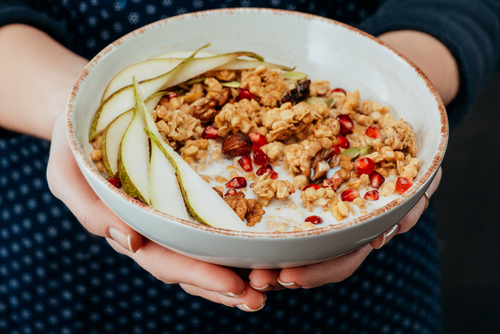 –	You can add chopped nuts or raisins to give your parfait a bit more crunch. There you go folks! 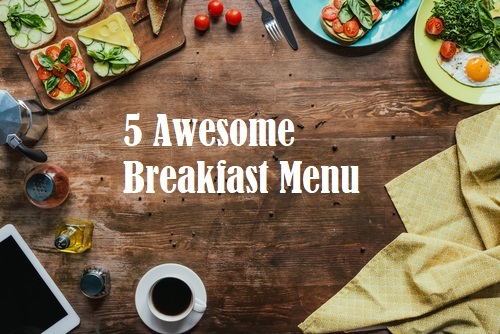 Those are the breakfast recipes that I personally love and I know for sure that they are nutritious and effective in de-bloating your tummies. Hope you like them! 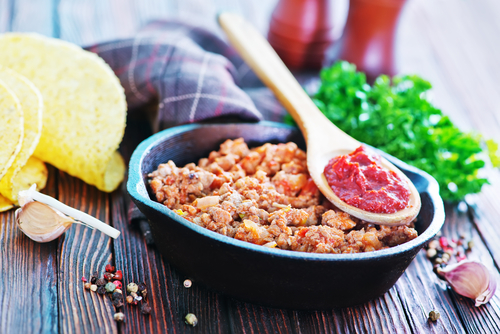 1 to 1 1/2 lbs lean ground turkey or buffalo. 1/4 tsp crushed pepper red. 15 oz can kidney beans. 2 tbsp. parsley or cilantro. 15 oz can black beans. 15 oz can lentils or adzuki beans. 15 oz can white beans. 32 oz can pinto beans. 1/2 c. diced red onion. Brown turkey or buffalo in a pan then drain. Turn the slow cooker on high setting. Add onion, chili, meat, parsley, onion, pepper, garlic. Stir and later remove all bean cans. Add zucchini and tomatoes. Stir and cook on high for between four and five hours. Salt to taste. 1/2 cup fresh basil, cut in a chiffonade. 5-oz can tuna, packed in water. Three small Persian cucumbers, finely chopped. 2 tbsp finely chopped red onion black pepper. One red bell pepper washed, halved and cored. 1 tbsp prepared mustard sea salt. Strain the tuna and put it into a mixing pot. Add onion, basil, and cucumbers and stir well. Fold in the salt and pepper, mustard and lemon juice. 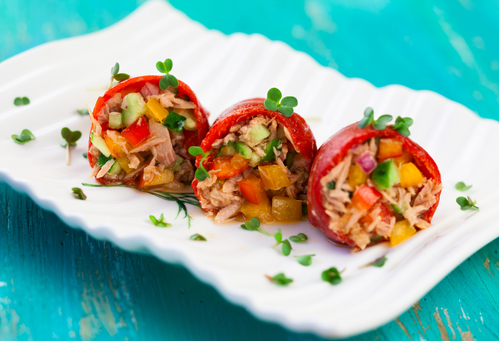 Stuff the tuna mixture into red pepper halves. Serve. 4 cups vegetable or chicken broth. 1 tbsp parsley or cilantro. 1/2 cup chopped the carrot. 1 lb skinless, boneless chicken breast, cut into 2-in pieces. 1/2 cup red onion chopped. Preheat the oven to 190C. Mix one tablespoon parsley, broth, garlic, and vegetables in a mixing pot. Add a cup of water and boil. Add rice and keep cooking. Cover to simmer for 25 minutes then remove the lid. Continue simmering for five minutes then set aside. As the rice cooks put broccoli and chicken in a mixing pot. Add salt and pepper, parsley and lime juice. Mix until the broccoli and chicken are coated with all the flavors. Put the broccoli and chicken mixture in a baking pan. Evenly so read it on the bottom using a spatula. Bake for between 30 and 35 minutes. Remove the chicken from the oven and allow it to cool. Part the rice four times into half-cup servings. 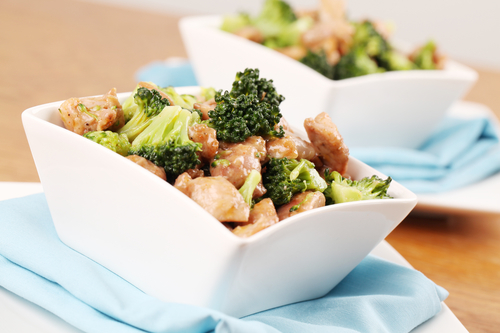 Divide the broccoli and chicken mixture into four servings and place each on the rice. Serve and enjoy. Warm tortilla in the microwave or a dry pan. Lace the top by evenly spreading salsa and hummus. Top the arugula and avocado. Add pepper and salt. Spoon the turkey, wrap and enjoy. 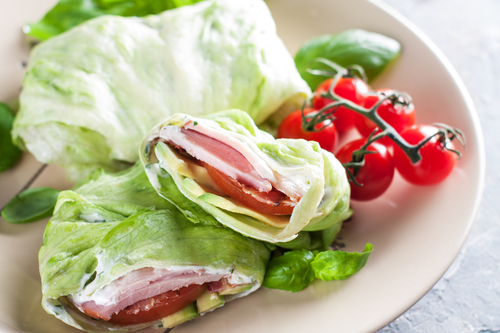 Quick tip: The lettuce can be switched for one sprouted grain tortilla warmed in a microwave or dry pan. Peel and part the grapefruit. Sprinkle it with nutmeg, cinnamon, and cardamom. 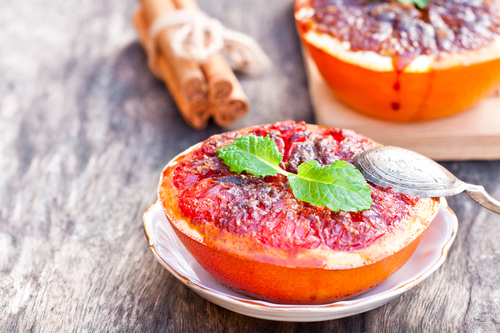 Bake at 190C for 20 minutes or until the cinnamon caramelizes.